Telephone Socket Surface Slave is rated 3.2 out of 5 by 9. Rated 5 out of 5 by Milo SalsaClass from Master Socket Master Socket, was very cheap and has done a good job for me. I had to go on the web to check which of the two telephone wires to connect to the master socket inputs. Well done Toolstation, when your good your good!! Rated 1 out of 5 by MarkyFR from Very poor quality Purchased this today, installed it plugged in phone nothing. Spent next half hour checking wiring. Continuity tested socket and no connection between the cable connector no.5 and socket. On dismantling, very poor soldering. I have put this socket in the appropriate place - the bin. Rated 4 out of 5 by IcelandicWarrior from Easy to fit. No special tools needed. Smaller than some main sockets I’ve seen so great if you have a smaller space to fit it in. It has screw terminals so no special tool is needed to fit the wires. Three blanked side entry points (left, right, bottom) if a rear entry is not possible. Rated 4 out of 5 by Horace from Screw connections Only gave this 4 star as there are no numbers marked for the connections, so you have to guess when connecting a slave to it. Works well, at a good price. 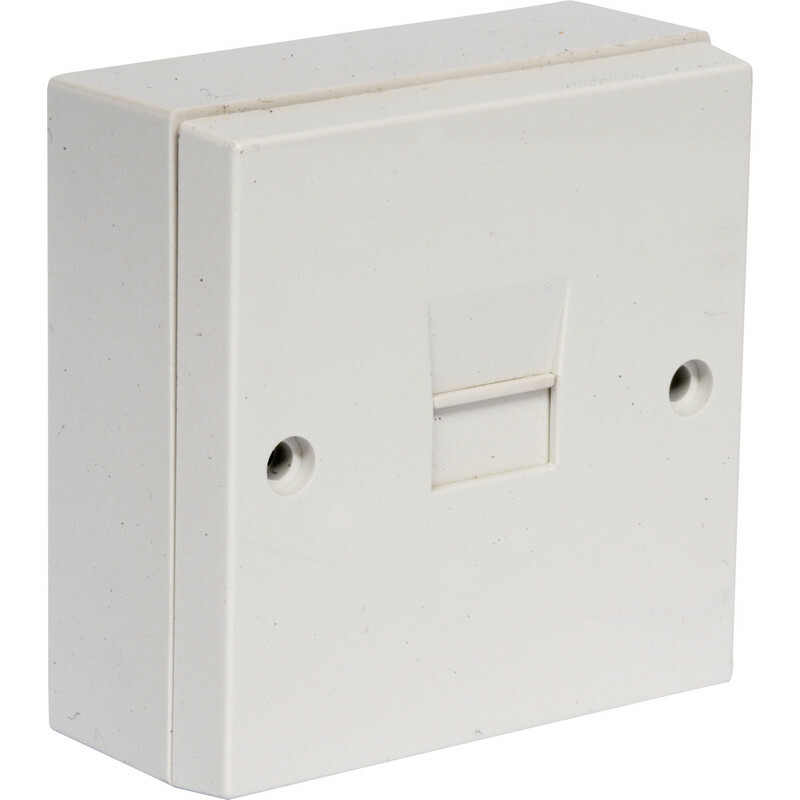 Rated 3 out of 5 by Tomo1 from Easy to fit telephone socket I brought three of these recently and whilst easy to fit through screw connectors, one of the face plates were faulty or the screw connection did not connect properly. Rated 1 out of 5 by Neilr from Poor quality returned this item as completely dissatisfied with the item. It had screw connections inside instead of the push in connections. It was cheap and there is a reason for this. Rated 5 out of 5 by Anonymous from Nice little Master socket Ideal replacement master socket which actually has screw terminals making an easier connection.